It’s definitely not one of those household tasks that any of us look forward to, let’s be honest, but it is still something that needs doing. We’re going to take you through the steps of cleaning your oven safely with two different methods. Before starting to clean your oven, you should first open all of your windows to provide adequate ventilation, as a lot of these cleaning products contain harmful chemicals that could cause respiratory irritation. Sodium hydroxide and sodium hypochlorite (bleach) are highly caustic, and sodium hypochlorite should never be mixed with any product containing ammonia or acids, or toxic gases will result. That’s why it’s very important to keep your house well ventilated when cleaning, which you can do by opening your windows. You should also put on a pair of cleaning gloves as these chemicals are very strong. If you don’t have any purpose-made cleaning gloves, you can get a pack of 100 disposable Marksman vinyl gloves cheaply on Amazon here. Make sure the area around you is clean and tidy and remove all oven trays and metal racks from the inside of your oven. The easiest way to clean your oven is with a dedicated oven-cleaning solution like Oven Brite , which uses sodium hydroxide in combination with other chemicals. To use, Oven Brite, you fill the bags provided with cleaning fluid and put your oven shelves inside. It is important that gloves are used for the cleaning process. Apply the cleaning solution to the sides of your oven and leave it overnight. You might need to do this twice to get the best results. Make sure you rinse your oven walls and the oven trays very thoroughly after using Oven Brite or a similar product, as you don’t want to get harmful chemicals in your food. This method uses common ingredients you probably have in your kitchen cabinet. It’s more environmentally friendly than using an aggressive chemical cleaning product like Oven Brite. First of all you, get some bicarbonate of soda and vinegar and then start making a bicarbonate of soda paste. In order to do this, mix half a cup of bicarbonate of soda with a few tablespoons of water. Adjust the ratio of both as needed until you have a spreadable paste-like mixture. It could take up to or just over 3 tablespoons of water to get the desired spreadable consistency. Smooth the paste all over the inside of your oven, making sure to stay away from all of the heating elements which are located at the top and sides of your oven. The baking soda will turn a brownish color as you rub it in, and it will probably be chunkier in some places than others. 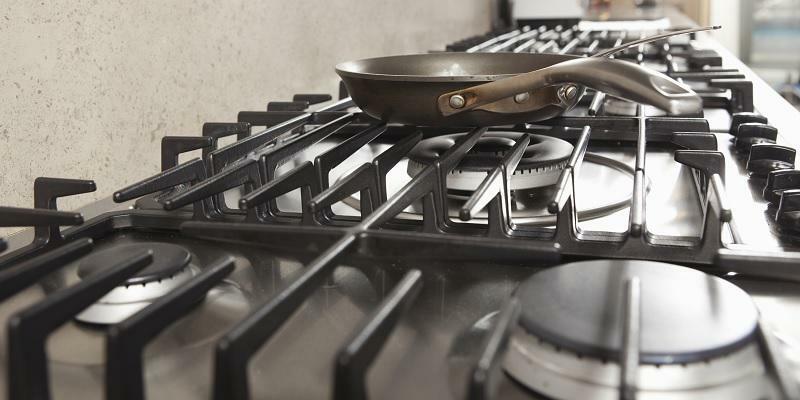 Aim to coat the whole oven to the best of your abilities, paying attention to any particularly hard-stained areas and areas with a buildup of grease. Allow the baking soda to rest overnight or for over 12 hours. This is important to allow the mixture to fully work and get deep inside all areas of the oven, soaking into all the nooks and crannies during the 12 hour period. Meanwhile, clean your oven racks and oven trays by using an old towel with some powdered dishwater detergent or liquid dishwasher detergent and a non-abrasive cloth or sponge. After 12 hours of leaving it to soak in and work its magic, take a damp dishcloth and wipe out as much of the dried bicarbonate of soda paste as you can. Use a plastic or silicone spatula to help scrape off the paste as needed. Wherever you can still see any baking soda residue, simply put some vinegar in a spray bottle or on a cloth and wipe it across the residue-affected areas. The vinegar will react with the bicarbonate soda and will cause it to turn into foam. Finally, take your damp cloth and wipe out the remaining foamy vinegar-baking-soda mixture. Last of all, put your oven trays and griddle racks back inside your oven. That’s it, you now have a sparklingly clean oven!